This is a range of designer-inspired fine fragrances. Made in the South of France from pure ingredients and processed locally, our perfumes are a blend of innovative alchemy and avant-garde technology. 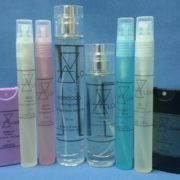 Fine French fragrances by Pure Alchemy.